The Dharamshala International Film Festival is back and we look forward to seeing you there for coffee and more in November. Do check out their site http://www.diff.co.in for details. Did you like this post? Why not subscribe to Moonpeak? Near the top of the page you’ll find buttons to subscribe by email or RSS, or simply click the ‘follow’ button. Moonpeak is offering its online customers a special discount on the classic birdwatchers’ guide Birds of Kangra. 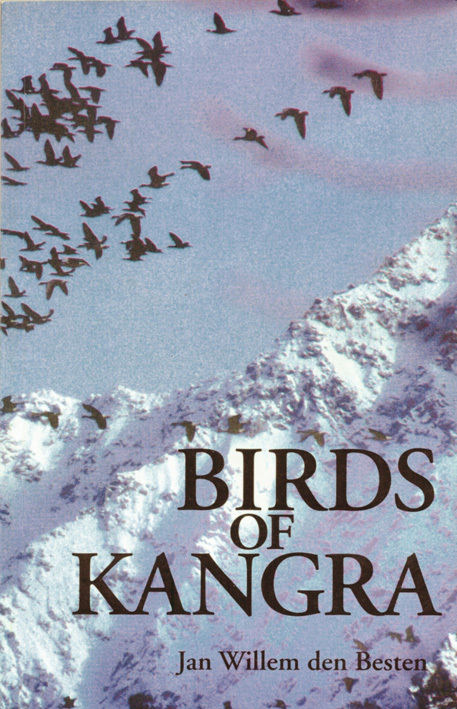 The paperback lists over 550 species found in the Kangra region, one of the richest birding destinations in the world. Hundreds of colour photographs and a detailed description for each species help with identification. The book was compiled over eight years by environmentalist and long-time McLeodganj resident Jan Willem den Besten, with an exquisite design by Japanese designer Noriko Kawakami. As well as scientific information, the guide incorporates local folklore about many of the species, and a trekking guide to the best birdwatching locations. Customers within India who order online receive the book for Rs 400, a ten per cent discount, as well as free packing and postage. Contact us at moonpeak@gmail.com to order your copy.